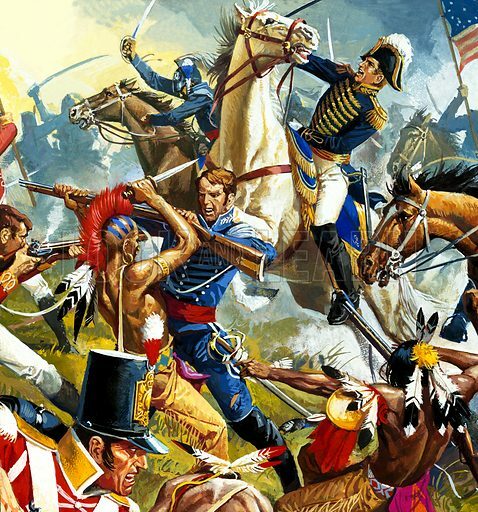 Red Indians vs American Soldiers. Original artwork for Look and Learn (issue yet to be identified). Scanned from transparency.